And then there were four. In a matchup of biblical proportions, David came up against Goliath and against all odds, slew the beast. That’s right, the ridiculous strength of the Tasmanian independent titan, Heartwood, was no match in the end for the Speyside pocket-pleaser, Glen Moray. Tim Duckett wasn’t the only Tasmania to fall, with elegant Overeem roundly smashed by indie Islay outfit Bruichladdich. 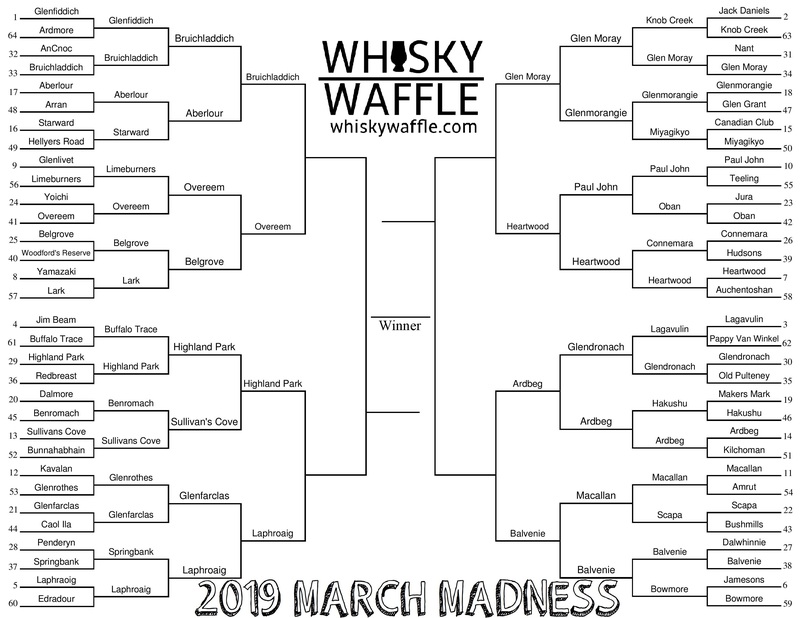 In fact, there’s potential for an all-Islay showdown in the final, with Ardbeg seeing off Glenfiddich’s little sister Balvenie with ease and Laphroaig narrowly fending off the Orkney vikings from Highland Park. First we have to get through the semi-finals though and there’s some tough choices ahead. 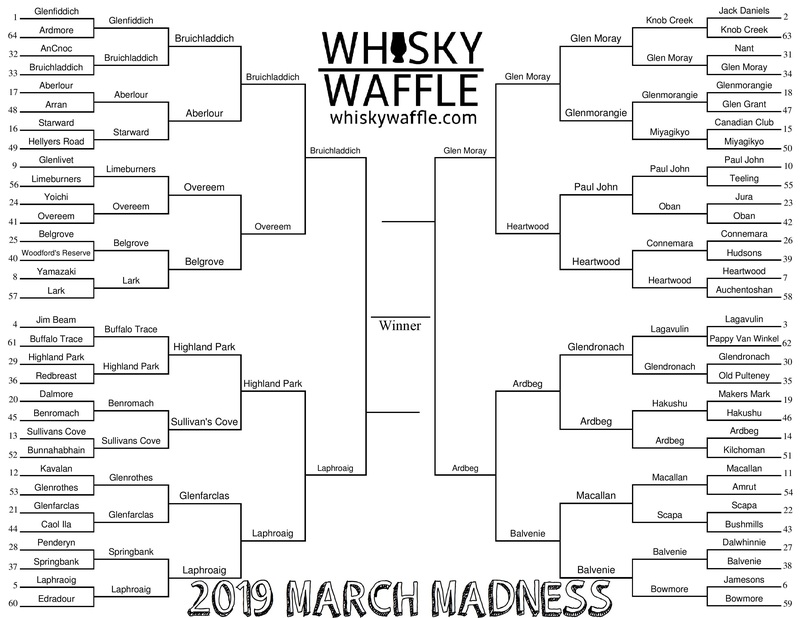 It really comes down to sweet vs peat – where do you fall in the battle? 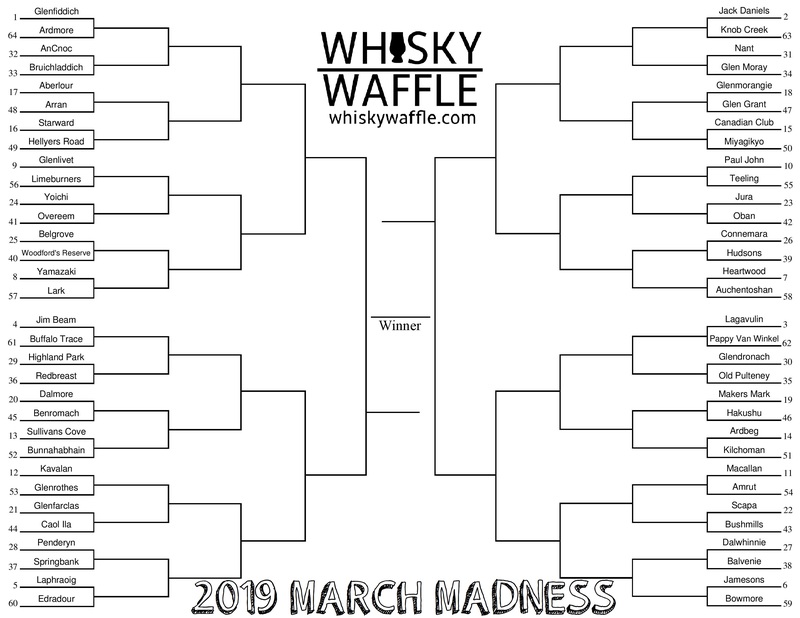 Cast your votes now at http://www.whiskywaffle.com or on our social media platforms.